It’s that time of month again! Another Bloom.com Ambassador Box has come my way and this time it was chock full of even more goodies! 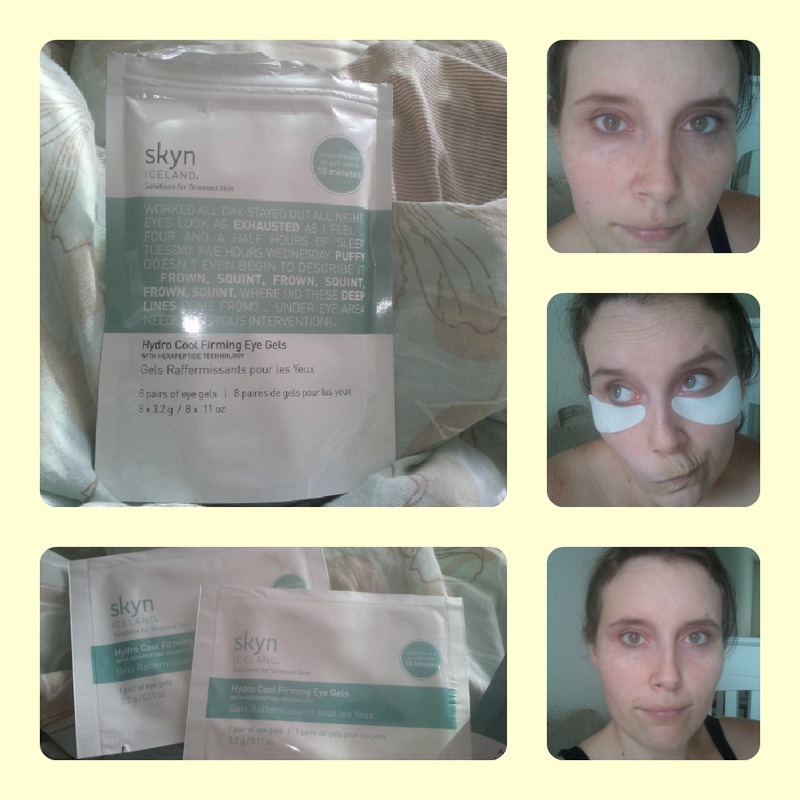 I am eager to test out each and every one but first up were these eye gels from skyn ICELAND. I’ve tried skyn products before and been pleasantly surprised. Here are my thoughts on these eye gels and where you can pick some up! 8 Gels per pack. Upper corner is prior to using gel pads, middle is using them, and bottom is after waiting the requisite time. Can you see the difference? Each pair of eye pads is packaged individually and are super easy to open. Just tear, rip, and voila! After tearing off the adhesive backing, I immediately applied the pads to my under-eye circles. The cooling sensation was immediate and lasting! I have been a fan of under-eye treatments since I was a teenager but I’ve never found any product where the cooling sensation lasts. These eye gels were amazing in that department. The entire 10 minutes of application, not once did the cooling fade. Loved that!! The gel itself also didn’t irritate my under eye skin which was a nice change from the slew of other eye products that do just that. After waiting the 10 minutes, I discarded the used pads and checked out my eyes. The blue/purple tinge that had previously been there had lightened tremendously. My eyes looked awake and more alert, brighter even and definitely smoother. I didn’t notice any immediate firming but perhaps with frequent use that benefit will be more apparent. A package of 8 eye pads will run you about $30. It’s definitely more expensive then other under-eye treatments and not something I can use on a regular basis because of the price. The pads are also a tad bigger than the package shows them as being. This wasn’t an issue, per-say just a minor annoyance as it took a brief minute or two of getting used to the feeling. FINAL RATING: 4/5 The price is an issue for me as I like being able to afford products that I really, really love (and I really, really LOVE this product). The cooling sensation alone is enough to make me splurge for them (on occasion) but the fact that it dramatically reduced my under-eye circles is also a bonus. I’d love to be able to use these pads frequently to see if I notice any firming effects overtime but again.. price gets in the way. For a special splurge purchase, I highly recommend buying these. They aren’t all “hype” like some other products on the market are and the cooling sensation feels like a breath of fresh air on your skin. Seriously. If you’re interested, you can buy them here. And remember, if you aren’t yet a member of Bloom.com (and really.. why wouldn’t you be!?!?) you can sign up here and see what they have to offer. What under-eye treatments do you swear by? Leave me some love in the comments! Have a beautiful day.